Going to see the stones at Glastonbury used to involve a little trip down to the King’s Meadow to see the Stone Circle, where there were plenty of others enjoying little trips of their own. This gloriously fake megalith circle only dates back to 1990, but this summer Glastonbury plays host to some far more ancient Stones of the Rolling variety. "It is about as big a coup as we ever thought would be possible," Glastonbury organiser Emily Eavis said after confirming that the Rolling Stones would headline the Saturday night. "It is something we never thought we'd be able to pull off – a dream booking. We've tried or talked about getting the Rolling Stones to play Glastonbury throughout my entire life – I can't remember a year it hasn't been wished upon." The venerable band have been humming and ha-ing about playing the festival as part of their fiftieth anniversary jubilee year, but the oldest teases in rock finally confirmed their appearance. "Can't wait to play Glastonbury. I have my wellies and my yurt," Mick Jagger said. Ronnie Wood claimed the credit. "I've been using all my persuasive charm on the boys for a few weeks now," he said. "Really pleased to be doing it, can't wait to be getting out on that stage at Worthy Farm." Keith Richards added: "We can't wait to play Glastonbury, see you on a summer's day in England." 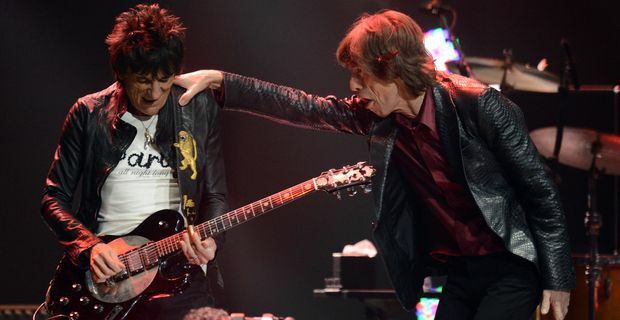 The Stones played shows in London, New York and New Jersey recently so should be in decent shape for the festival. It’s unlikely that Richards and Jagger will be too worried about being overshadowed by the other headliners, Arctic Monkeys and Mumford And Sons. The Stones booking serves as confirmation, if any were needed, that Glastonbury has long since sacrificed any pretence at being part of youth culture and has become a festival for middle-aged families dragging along their teenage kids (and presumably the grandparents this year).